Tru Clarity Hearing Care is devoted to bringing you the latest in hearing aid technology to help enhance your active lifestyle. We care about your hearing health and want to provide you with a lifetime of support and happiness. Tru Clarity is a full-service hearing care practice in Mullica Hill, NJ, offering hearing aid testing, evaluations, fittings, aural rehabilitation classes and repairs. We care about your hearing above all else and if you qualify for hearing aids, we will help you find the perfect model to match your lifestyle and budget. Combining advanced technology, comprehensive patient education, and superior hearing aid programming expertise, Tru Clarity Hearing Care is your destination for better hearing. 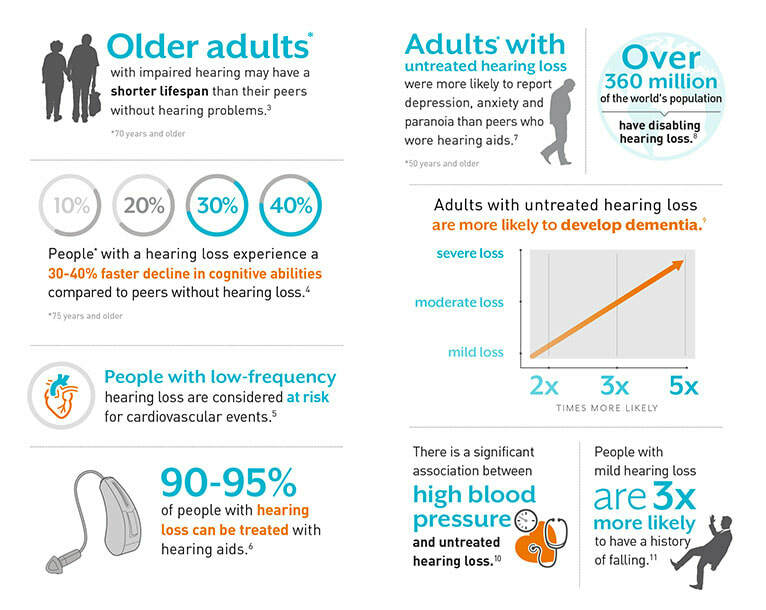 Have you heard these alarming statistics about hearing loss??? Hearing loss affects millions of Americans, caused by both hereditary factors and the natural aging process. We are dedicated to helping our patients with all of their hearing care needs. Read what they are saying about our practice.